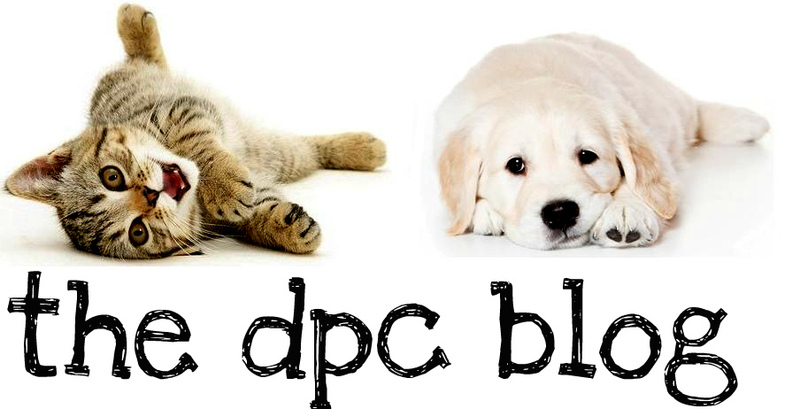 DPC's Blog: What is an Emergency? When it comes to humans identifying an emergency it is fairly simple. If you're in pain, all you need to do is tell someone. Right? It's not that easy when it comes to our pets. Your furry family members aren't able to open their mouths and tell you "My stomach hurts. Can you take me to the doctor?" So let's go over what is, and isn't, an emergency. The first and foremost thing you need to consider is whether or not your pet is acting unusual. An owner knows what is and is not normal for their pet. If you begin to notice small changes, try to remember that by the time your pet is showing obvious symptoms they may be in an advanced stage of disease or injury. So it's always better to have these things checked out sooner than later. You may be asking what sort of changes we're talking about.. Things like irregularities in urination or defecation patterns, decreased appetite, or a decreased activity level are some ways that pets begin to show signs of early illness or discomfort. If your cat, who has always gone in the litter box with regularity, is suddenly urinating all over the house don't just assume he is being spiteful - He/she may have a urinary tract infection. Your dog might not just be "a bit sluggish" - it could be lethargy caused by an underlying medical condition. But this is all preventative. These are the little things you can look for in order to nip emergencies in the bud. What we're really talking about is the nitty gritty here.. What is an emergency? Trauma - car accident, etc. Ingestion of something toxic - I.E: chocolate, medications, etc. Never give your pet ANY over-the-counter or human medications. If your pet seems to be in pain giving a Tylenol IS NOT GOING TO HELP. In fact, it is going to make matters worse by introducing new problems. Also, do not give your pet another pet's medication without a doctor's approval. Wounds can prove more serious than you think. If your pet has a cut or wound of some kind and the bleeding has stopped don't assume it is alright. Wounds can become abscessed or infected easily and then the treatment will be more severe and more costly than if your pet was initially treated for the simple wound itself. Your pet may need antibiotics or wound care. When in doubt call your vet for guidance! Always call your veterinarian to let them know to expect you. There are several benefits to this. First off, you want to make sure they are open and have a doctor available to see you immediately. Second, depending on the severity they may need to prepare for your arrival - delegate a nurse, ready an exam or surgery room, prepare medications to be administered on arrival, etc. Keep in mind that if your pet has just been hit by a car or is seizuring and your established vet is an hour away from you, you may need to come up with a plan B. Make sure that you always know your nearest Emergency facility and have their phone number available for if your pet has an after-hours or urgent situation. WHEN IN DOUBT - ALWAYS CALL YOUR VET! That's what they're there for. They will always happily advise you on when it's right to panic. The best thing to do when you clip your dog's nail a bit to closely, when he eats something out of the trash, or even when your cat pees all over your bed is call your veterinarian's office and ask them what to do from there. We don't mind, I promise! It's our job!